President Laura Chinchilla walked onto the stage at the Casa Presidencial last Thursday equipped to face the press. Everyone in the room knew she would be announcing significant changes to her cabinet, including the surprise resignation of one of Costa Rica’s most popular public figures, Health Minister María Luisa Ávila, and the relocation of Foreign Minister René Castro to the role of the Minister of the Environment, Energy and Technology (MINAET). The adjustments to her cabinet, which were announced a week after protests over the financial crisis in the Social Security System (Caja), bring the total to five ministers and four vice ministers that have resigned in the first 15 months of the president’s administration. During the next 40 minutes, a handful of reporters launched their best questions, asking if she thought the government was in a state of crisis, if she’d appointed the wrong cabinet, if other ministers would soon resign. Constantino Urcuyo, a political analyst and academic director for CIAPA, a public policy think tank based in Costa Rica, considered Chinchilla’s speech at Cartago’s Basílica de Nuestra Señora de Los Angeles on Tuesday to be representative of a disorganized administration being pulled in too many directions. In her speech to honor Costa Rica’s patron saint, La Negrita, Chinchilla spoke primarily of the country’s problems with national security and referenced the ballooning fiscal deficit. At a press conference afterwards, she touched on the Legislative Assembly’s pending decision over in vitro fertilization. A photo from 2006 shows ex-Health Minister Maria Luisa Avila, right, sitting next to former President Oscar Arias and former Public Works and Transport Minister Karla Gonzalez. “Basically that means that when something is weak, it attracts more problems,” Solís said. Of them, Solís mentioned the expanding fiscal deficit and the failed effort to create a national tax reform, continued problems with national roadways, the Caja, the Health Ministry, the stagnant state of the economy, cost of living, agriculture, discord in the Legislative Assembly, a U.S. company that wants to explore for oil and natural gas and the issue of in vitro fertilization. 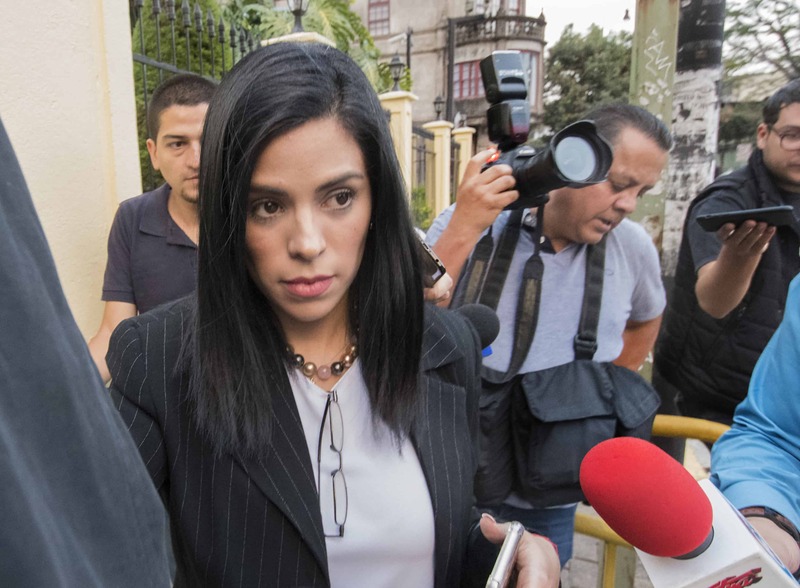 As for Chinchilla’s claim that the exit of five ministers in 15 months is “normal,” Solís agreed that many administrations experience changes in their cabinets, though the abrupt nature of recent resignations falls outside of the realm of normalcy. Urcuyo said he felt the changes weren’t as significant as made out to be. “It always happens. Every government has changes after a year or year and a half,” he said. Where Urcuyo and Solís agreed was on a current lack of a government plan, which if it does exist, is continuing to be buried by distractions and unforeseen problems that arise. Urcuyo referred to it as “gridlock.” Solís said that if there was a government plan, it appears in need of a reform.